Portland Aerial Services brings you a new perspective on your projects. With over 10 years of flying under our belt, we guarantee the smoothest and most spectacular shots provided to you. We shoot anything from Realestate to special events and have even helped producers in Hollywood obtain stock footage of the Portland area. 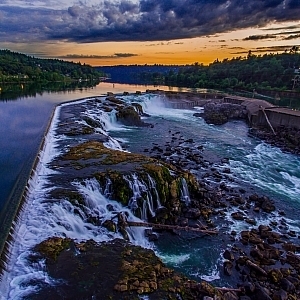 Portland Aerial Services specializes in smooth flowing video shots in either 1080p or 4K. Flying a Phantom 4 has several advantages like ease of operation and set up time. You can be in the air in less than one minute filming 4k video or shooting 12mp stills. With its obstacle avoidance, flying in close quarters is more inviting. 10 years experience flying camera equipped RC platforms.